I absolutely adore shrimp. And, it is no surprise given my Italian heritage that I love pasta. Add in some garlic and butter and I’m pretty much in nirvana. 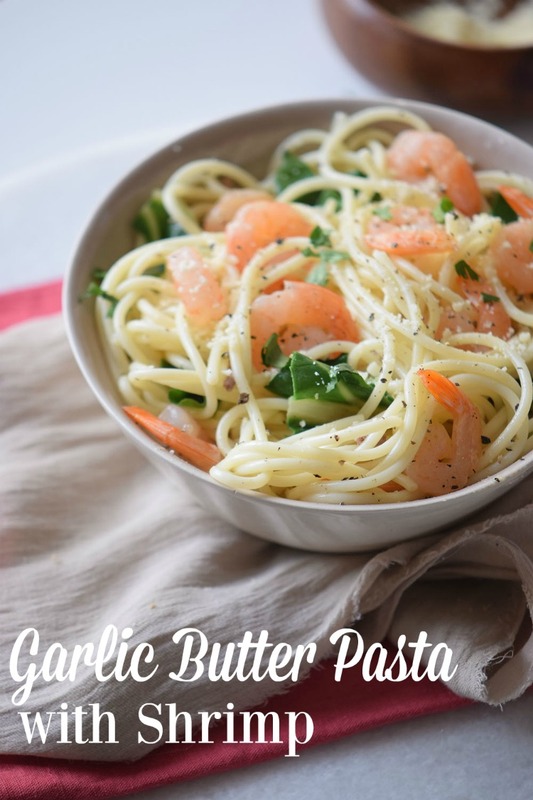 So this Garlic Butter Pasta with Shrimp is perfect for me. Note ~ There are affiliate links in the post for your convenience. Many thanks to anyone who helps support the site with their purchases. 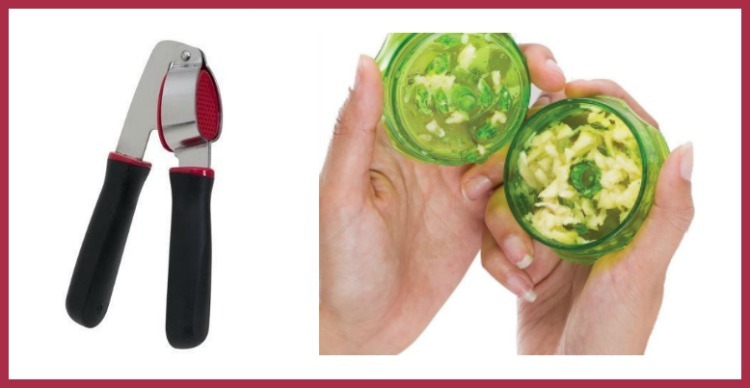 Cooking is so much easier with a good garlic press. While I have a traditional one in the house, I also picked up a “No Mess Garlic Press with a Twist” a few years ago. It takes a little getting used to using but works better for me than the old garlic press I have. If you do get a traditional style garlic press, I’d highly recommend one with comfort grips. Another item in our kitchen that makes cooking pasta so much easier is a pasta pot with strainer. You can actually pick between having a pot with a strainer insert that you just pull out when it is done cooking. Or, you can now purchase pots that have a lid with the strainer function built into it. They both have their pros and cons. Many of the pots with an insert include a steaming basket which can be very helpful. But, some people like to just pour from the hot pot and never have to transfer the cooked pasta back. Really it is a matter of preference as both solve the problem of having a separate strainer sitting in your sink. 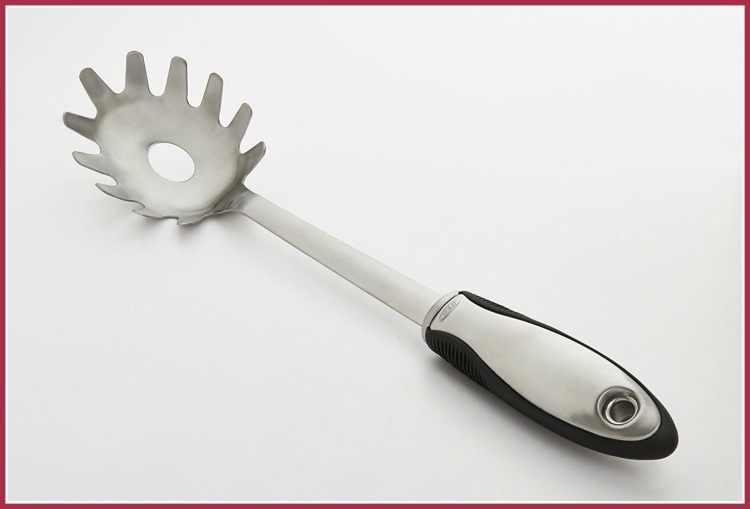 Finally, when it comes to both cooking and serving, a stainless steel pasta fork is a must. We’ve had the cheaper plastic ones in the past and they just do not hold up well. If you don’t like to hold a steel handle, then grab one with a rubber gripper. This is NOT a complicated recipe. Which is exactly how I like them! I just don’t have the patience for fussing around when there are other things to do. And, I know that making this dish myself at home is going to be more cost effective and healthier than visiting my local Italian restaurant. Boil water with salt in a pot over medium-high heat. Add the pasta and cook until al dente following the packaging directions. While waiting, heat a saucepan over medium heat, and add the butter and garlic. 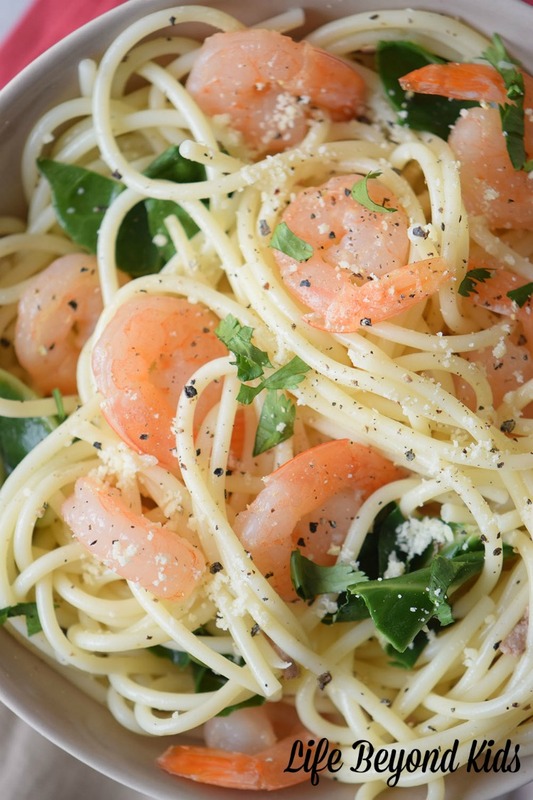 Add the shrimps, salt, pepper, rosemary, oregano, basil, and lemon juice. Cook the shrimps until they turn pink. Set aside. Use a strainer to drain the pasta and transfer to the saucepan. Mix until combined. Plate each serving with a dash of pepper and Parmesan cheese. 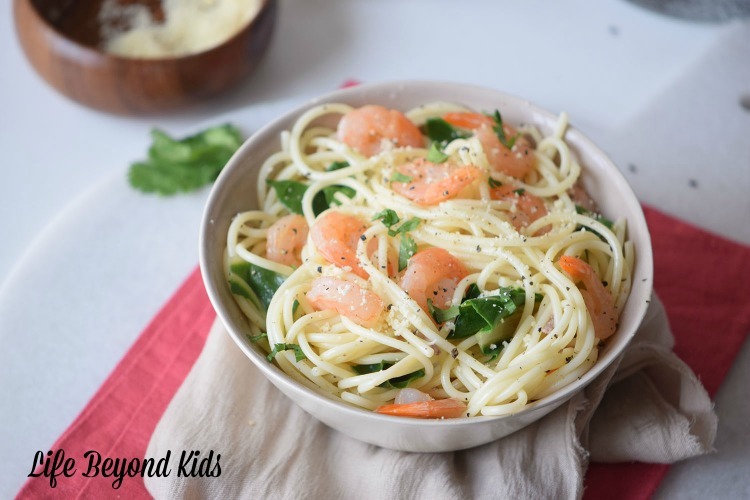 Swap the spaghetti for rice noodles for a gluten-free meal. Just follow the instructions for your rice noodles when preparing as some tell you to soak in hot water rather than cook in boiling water. Also, I like to use a bit of white wine at times when making a dish like this. It adds a depth of flavor to the sauce. Is this the type of dish you’d enjoy at home? Thank you for sharing. Shrimp is just about my favorite. I agree, Denise! Shrimp is one of my 'special meal' requests. Yummy shrimp recipe. Tastes great for lunch or dinner.